DoCrafts ROSIE Cling Stamps Gorjuss London go907218 at Simon Says STAMP! Success, DoCrafts ROSIE Cling Stamps Gorjuss London go907218 has been shared! Exclusively from Docrafts, Gorjuss returns with this beautiful In The Garden themed collection. Pretty flowers, tall grasses & busy insects are mixed together with lovely Gorjuss characters to create a light, Spring/Summer collection. Featuring the lovely Rosie character these high quality rubber stamps are easy to use. Simply apply ink, check your positioning and press firmly onto your project. Colour with co-ordinating Gorjuss Watercolour Pens to achieve stunning results! 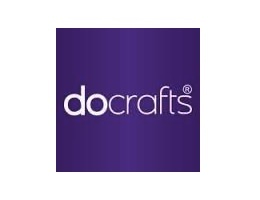 With industry-leading exclusive products and a strong reputation for excellence, DoCrafts rules the realm of Card Making and is also a specialist supplier of Scrapbooking products. DoCrafts pride themselves on their ability to produce products that have formed a community of creativity!